This book is saying nothing more than the great masters throughout history have said. For the modern day it is one of the most complete works on stripping away the ego to allow the divine that I have been able to find. The practicality of the work is astounding. It left me with an inner peace, also having many techniques that can be used daily to bring yourself into the moment and quieten down the chatterbox of the mind. The writers main point is that time, anything other than right in this instant is illusory and brings about human emotion, which unless mastered, can lead you on a downward spiral. We stop these unwanted thoughts and feelings by completely surrendering to the present moment, whatever is happening, simply surrender to it. He also extensively covers our identification with the ego, a construct caused by the delusion of separateness. Identifying with the ego leads us down the path of not being good enough or worthy or loved enough etc and is always chasing more and more, with the belief that some day, when it has that, then it will be happy. The writer breaks this all down impeccably. 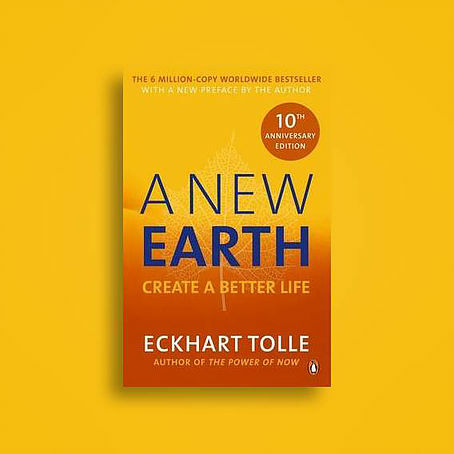 I highly recommend taking the time to read A New Earth. Your expanding level of awareness will transcend a few nagging doubts after reading the book. Is it happiness or peace you are seeking?